On this month's episode of Traditions we visited with the dedicated staff and volunteers of Moveable Feast, a incredibly impactful Non-Profit located in east Baltimore. "The mission of Moveable Feast is to foster a community that cares for men, women and children living with HIV/AIDS, cancer and other life-threatening illnesses by preparing and delivering nutritious meals and groceries and providing nutritional counseling and other services." Drinking a beer at Ó Flynn’s on Hanover Street is where we met Captain Mark Stephen Rooney of McAllister Towing of Baltimore. There, he started to tell us all about his life growing up near the Port of Baltimore and the path that led him to becoming a Baltimore Tugboat Captain. For over 50 years The Chesapeake Bay Maritime Museum has been preserving the the rich heritage of the Bay. In our second part of this two part series, we take a look at how the community surrounding the museum decided to take on the monumental task of preserving the numerous artifacts found within. For over 50 years The Chesapeake Bay Maritime Museum has been preserving the the rich heritage of the Bay. In our first part of a two part series, we take a look at how the museum preserves the unique boat building techniques developed over the centuries by local watermen. Photographer and Videographer with a focus in storytelling. I love fishing and and am a card carrying member of the Planetary Society. Our Traditions Series focuses on Baltimore Institutions that have experienced first-hand all the changes our city has gone through over the decades. 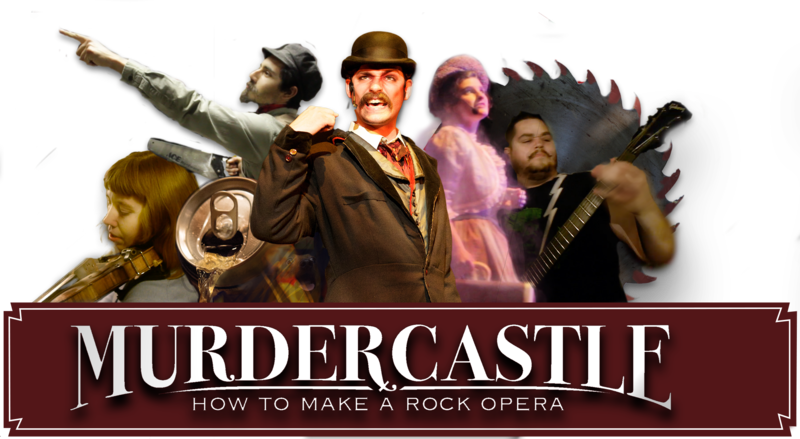 In 2013, freelance reporter and videographer Matt Kelley was given full access to the inner workings of the Baltimore Rock Opera Society as they embarked on their most ambitious rock opera to date, MURDERCASTLE. As if a large scale original theatre production wasn’t enough of a challenge, the BROS also decided at that time to take on the financial responsibility of their first official offices and workshops at The Bell Foundry in Baltimore's Station North Arts and Entertainment District. Shortly after the beginning of principal photography, BROS member and MICA film grad Greg Bowen volunteered to help record some of the unfolding events. This led to a partnership between Matt and Greg that ultimately spurred the founding of Human Being Productions. The company officially took on Derek Brown (H.H. Holmes) as a third partner in 2014 when we officially incorporated. Another two years and countless hours later, we have a movie that, short of a small initial investment, we've managed to finance and produce completely on our own. And now we want to show it to you! We've rented a theatre and are selling tickets to the only scheduled screening of our movie. If people like it, we will definitely show it again. But for now, this is the only showing on the books so get your tickets and come hang out! We'd love to share our story with you. Murdercastle: How to Make a Rock Opera is a feature-length documentary about the Baltimore Rock Opera Society. Shot in 2013, the film captures over 200 volunteers in action writing, building, and performing the story of H. H. Holmes, America's first serial killer.